Marc Marquez has established himself as the favourite for the 2016 MotoGP title, extending his lead to nearly 50 points over Jorge Lorenzo after a disastrous weekend for both him and teammate Valentino Rossi. 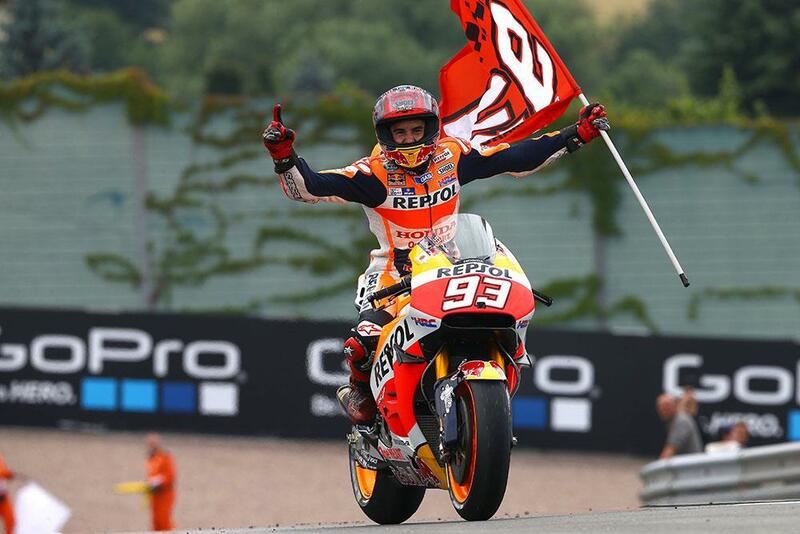 Marquez made the most of treacherous conditions and a flag to flag race to make the right call, pitting early for slick tyres and pulling clear of the field to win from Cal Crutchlow and Andrea Dovizioso. Rossi became tangled in a battle with Dovi, Crutchlow and Jack Miller, but, with the group not deciding to pit until the damage was done, they were left to pick up the pieces. 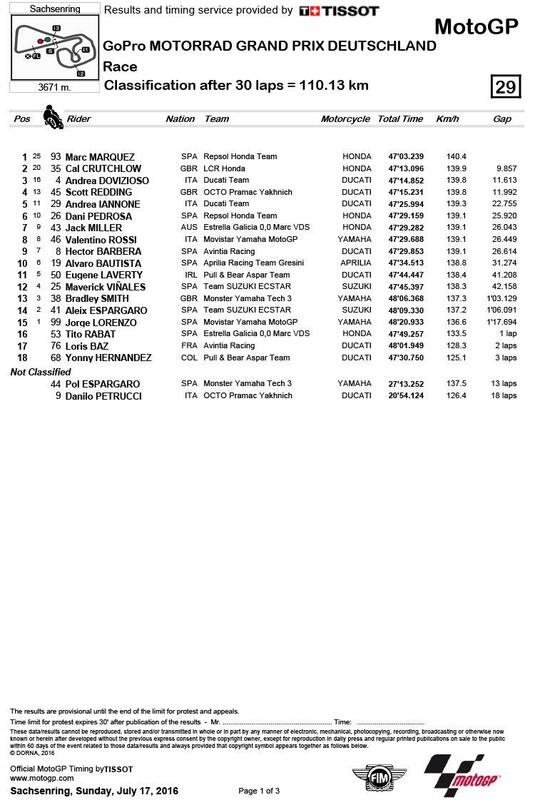 Rossi’s race was damaged even further by the decision to go to intermediates, leaving him all the way back in eighth. Scott Redding was denied the chance at back-to-back podiums on the last lap by Dovi, making the same mistake as Rossi, while Andrea Iannone, Dani Pedrosa and Miller all made it past the Italian too. Eugene Laverty rode another strong race to eleventh behind Hector Barbera and Alvaro Bautista, but Bradley Smith was left 13th after a collision with Yonny Hernandez on the opening lap cost him a knee slider. And Jorge Lorenzo’s horrific weekend continued in 14th, taking home only two points as he struggled to find any confidence on tyres he doesn’t trust and at a track he dislikes.